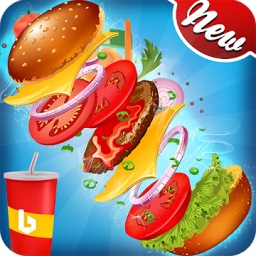 Summary: The second part of one of the fast-food restaurant games that we've all been waiting for. Finally, the game is back! 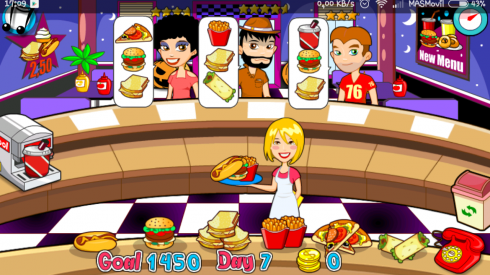 The second part of one of the fast-food restaurant games that we've all been waiting for. This time you'll be behind the bar and you'll have to be very adept at picking the ingredients to serve customers. You can serve burgers, drinks and the odd dessert. You will unlock new recipes as you advance through each level. 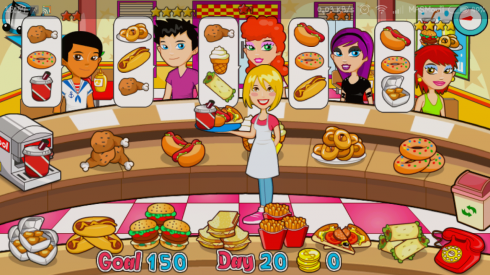 At various levels of the game, you can also see the restaurant decorated, like at Christmas or Halloween. Beware!!! Food can run out. This time you'll have to control the shopping cart during play, because if you spend too much money on food orders, you will have too many expenses and not pass the level. In this restaurant game, the graphics have been specially designed to please people of all ages. Great care has been put into the sound effects and music and the difficulty level is a good fit.